OverviewGrandia tells the story of the young adventurer Justin who tries to uncover the reason why the ancient civilization of Angelou disappeared. I once installed ePSXe 1.7.0 a year ago, but because of lack of information from where I got it, I didn't know about all the plugins to make it work. So over a week ago I gave it another chance because I was looking over some of the RPG's I never played/heard of for the PS1 which had pretty good userscores on gamespot. To but it simple, If anyones comes over this page then that means you've already searched for Grandia with the intention of perhaps playing it, if you are in doubt, don't be, this game holds up even today. I've played games for 11 years but Grandia has the biggest heart, enthusiasm, memorable soundtrack, amazing sprites, a few scenes that made me empathize and cry tears of joy and sorrow. The single gripe I have with the game is how extremely easy it is, however the combat system is unique and damn near perfect! Now you can add videos, screenshots, or other images (cover scans, disc scans, etc.) 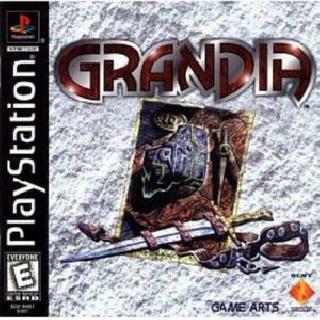 for Grandia (E) (Disc 1) to Emuparadise. Do it now!